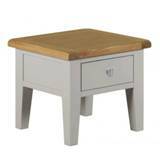 Finish in distressed French oak and constructed to a high standard and dovetail drawer fronts. 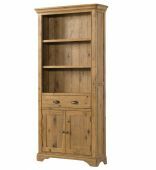 This french style rustic oak range is an exquisite collection at affordable prices. Fully assembled. 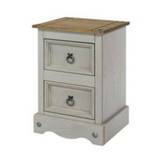 Dimensions H109cm x W97cm x D31cm (Delivered within 2-4 weeks). 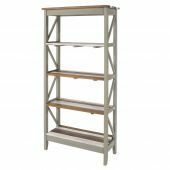 Finish in distressed French oak and constructed to a high standard and dovetail drawer fronts. 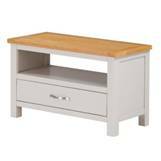 This french style rustic oak range is an exquisite collection at affordable prices. Fully assembled. Dimensions H200cm x W97cm x D31cm (Delivered within 2-4 weeks). Ex-Display Clearance Item. 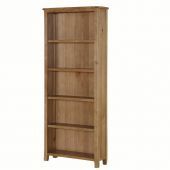 Kinross Low Bookcase. 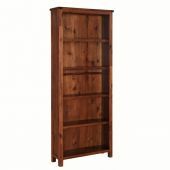 Beautifully crafted with solid acacia and acacia veneer and finished with high quality, easy to maintain dark soft sheen lacquer. Fully assembled. 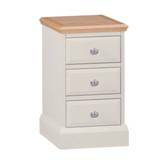 Dimensions H105cm x W95cm x D35cm (Delivered within 1-4 weeks depending on location). Dimensions H161cm x W97cm x D34cm. *(Delivered within 4-8 weeks). Dimensions H200cm x W97cm x D34cm. *(Delivered within 4-8 weeks). 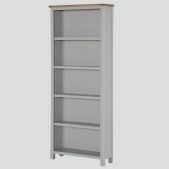 Nimbus 2 Shelf Bookcase by Corndell. Fully assembled. Dimensions H94cm x W97cm x D34cm. *(Delivered within 4-8 weeks). 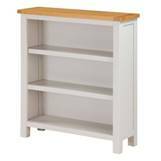 Nimbus 3 Shelf Bookcase by Corndell. Fully assembled. Dimensions H134cm x W97cm x D34cm. *(Delivered within 4-8 weeks). 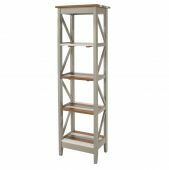 Nimbus 5 Shelf Bookcase by Corndell. Fully assembled. Dimensions H200cm x W97cm x D34cm. *(Delivered within 4-8 weeks). Dimensions: H 30" x W 26" x D 10.5". Dimensions: H 42" x W 26" x D 10.5". Dimensions: H 54" x W 26" x D 10.5". Dimensions: H 66" x W 26" x D 10.5". Dimensions: H 78" x W 26" x D 10.5". Dimensions: H 30" x W 38" x D 10.5". Dimensions: H 42" x W 38" x D 10.5". Dimensions: H 54" x W 38" x D 10.5". Dimensions: H 66" x W 38" x D 10.5". Dimensions: H 78" x W 38" x D 10.5". Dimensions: H 30" x W 50" x D 10.5". Dimensions: H 42" x W 50" x D 10.5". Dimensions: H 54" x W 50" x D 10.5". Dimensions: H 66" x W 50" x D 10.5". Dimensions: H 78" x W 50" x D 10.5".